This collection of stories is one of the best I’ve read in a long time. The short form has always been my preference. I admire when a writer can take us immediately in and then release us in short duration. When it works, it is exhilarating. Caleb J. Ross delivers this. The stories in Charactered Pieces are dark, sometimes disturbing, and anxious. I found a theme of parental angst stream through many of them. It was enjoyable to spend some time in the mind of Ross, but in the end, it was more personal. I believe a story is successful when you discover something about yourself after reading it. I highly recommend this collection. 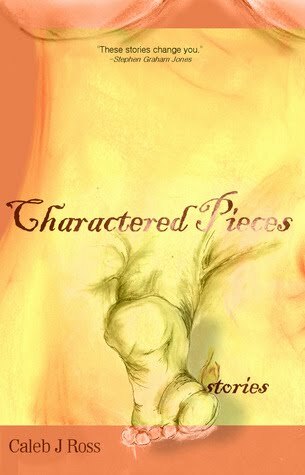 "Charactered Pieces" really stands out, it was a great read and I am glad people are still talking about it. Also nice to see Kristin doing reviews!